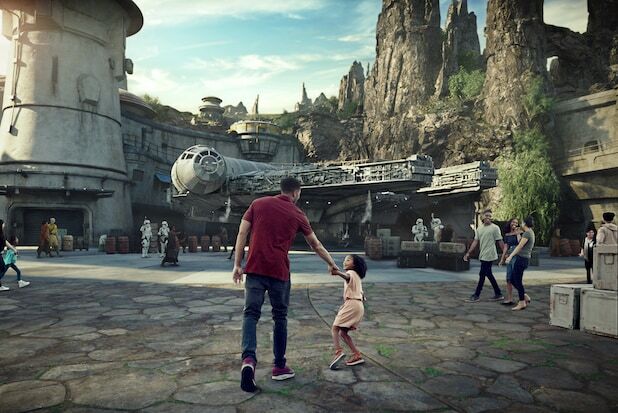 Between rides on the Millennium Falcon, an opportunity to build your own droid or lightsaber and a chance to drink blue milk from a Tatooine cantina, the new “Star Wars” theme park Galaxy’s Edge coming to Disneyland and Disney World is aiming to be one of the most interactive Star Wars experiences around. Several fan sites got the first look to tour the park, which is opening this summer in Disneyland in Anaheim and this fall in Disney World in Orlando. The highlight of the park seems to be the Millennium Falcon: Smuggler’s Run ride, in which visitors get to ride inside Han Solo’s iconic ship. 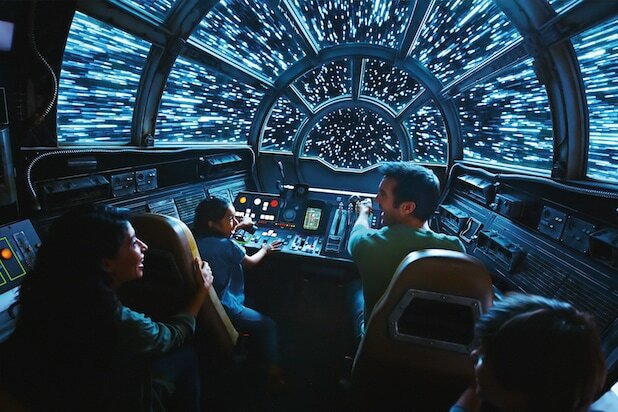 iO9 says that fans are greeted and get to tour around a life-size Millennium Falcon as they wait in line for the ride. 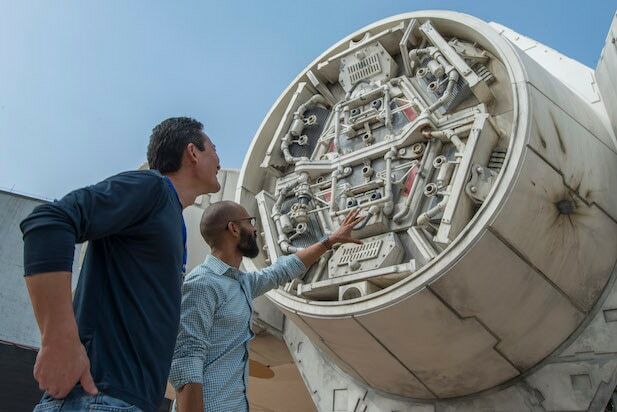 They describe it as more than 100 feet long and 25 feet high, and decorated down to the finest detail and blaster burn. EW says visitors are assigned the role of either a pilot, gunner or flight engineer aboard the Falcon and must interact with a video mission that will jolt or rock the cabin depending on what actions you take. They also describe being able to wander the corridors of the Falcon while you wait for your assigned flight group and being able to scan displays that will reveal story details and twists using a Disney Play app. There’s also the Rise of the Resistance ride, which features performances by Daisy Ridley, Adam Driver, John Boyega and Oscar Isaac in another interactive experience. Read more about it via Nerdist. 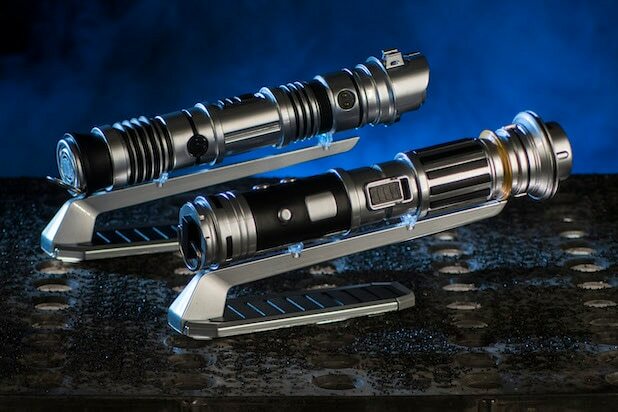 Another cool aspect of the park that should remind visitors of the customizable and interactive wands at Universal’s Wizarding World of Harry Potter is an opportunity to build your own lightsaber and droids. Laughing Planet says the blades start at $49.99 and a customizable, finished hilt will cost $109.00. The droids too are customizable, with visitors picking parts off a conveyor belt to build either an R-series or BB-series type droid. 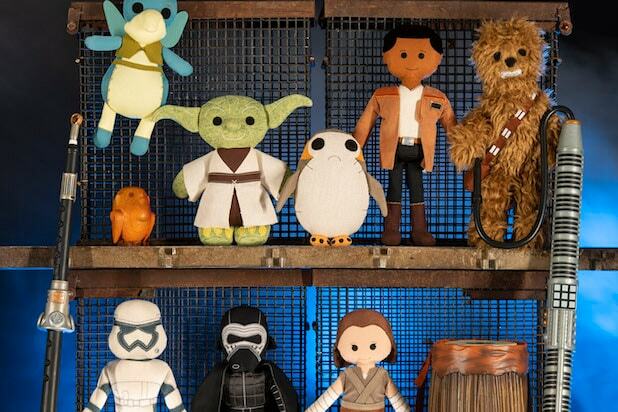 Or you can purchase one of the pre-made, familiar droids that are recognizable from the films. Like the wands in the Harry Potter world, these can interact with specific items and kiosks in the park. And what trip wouldn’t be complete without the blue milk (or green, if you prefer)? 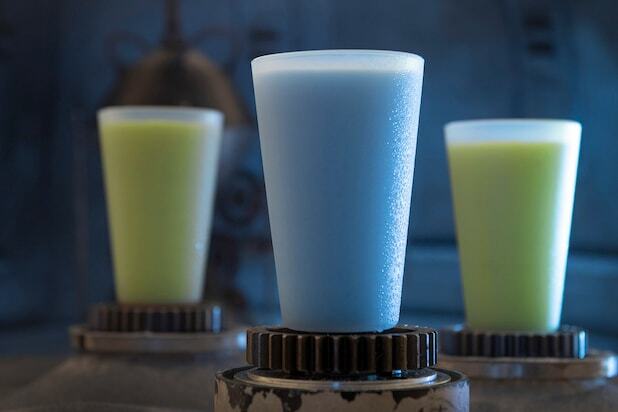 According to EW, at Oga’s Cantina, you can get a non-dairy, frozen, milkshake-style beverage similar to the strange substance Luke Skywalker drinks in the original “Star Wars.” It was also previously reported that Galaxy’s Edge would serve alcohol at the park, and the cantina serves Star Wars-themed variations on a Bloody Mary, fuzzy navel and Cosmopolitan.